Serotonin is a neurotransmitter, a messenger chemical for the nervous system that allows the body to communicate with itself. It all starts with an electrical impulse being sent down a nerve cell (i.e., neuron), with the intended goal of reaching another area of the body. In order for that electrical impulse to reach the intended area of the body, it must travel through many nerve cells. Serotonin comes into play as the communicator between nerve cells. 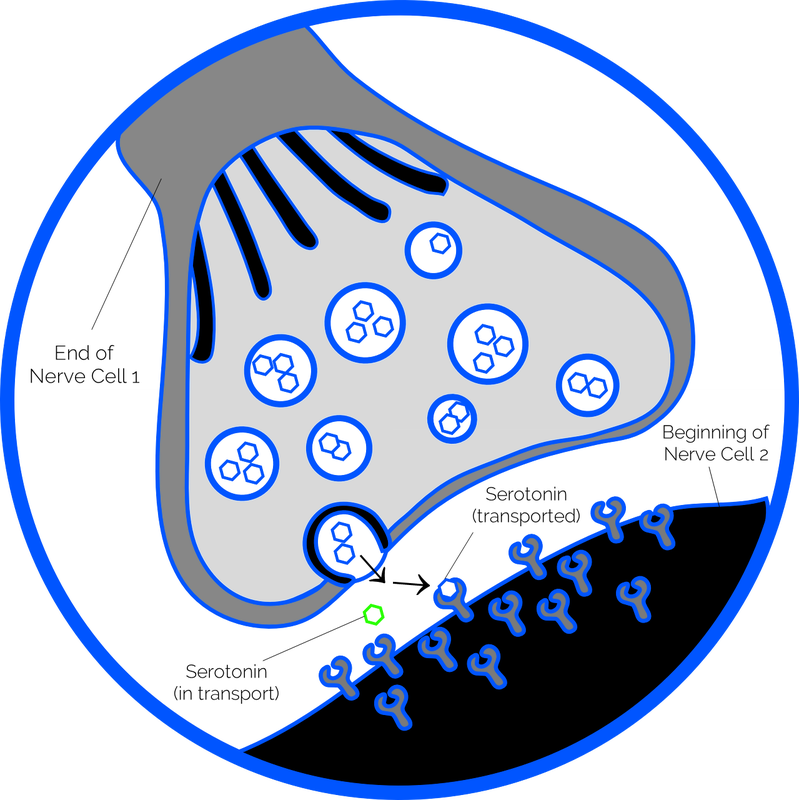 Once that electrical impulse reaches the end of one nerve cell, neurotransmitters are released, such as serotonin, to traverse the gap between the two nerve cells, and relay the electrical impulse to the next nerve cell. The process repeats until the chemical message in the body is relayed. Serotonin deficiency in people with chronic Lyme disease has every reason to exist because of the conditions a person with chronic Lyme disease is exposed to. High stress, poor sleep, diet, and even an MTHFR gene mutation are all factors that can contribute to low serotonin levels in people with chronic Lyme. How do serotonin levels become deficient in people with chronic lyme? A good portion of a person's serotonin supply is manufactured in the digestive tract while a person sleeps, and because many with chronic Lyme disease have a difficult time getting a good quality sleep, the stage for low serotonin levels is set. An interesting thought, however, is low serotonin levels could be the culprit for the poor sleep quality in the first place. So the cycle could start with the high stress of dealing with chronic Lyme disease reducing serotonin levels. This initial reduction in serotonin leads to insomnia or just plain poor sleep quality. Since the body manufactures a good portion of its serotonin supply in the digestive tract while it sleeps, a person with insomnia will not only have low serotonin levels, but it will be difficult for the body to replenish its serotonin supply because of the insomnia. Now couple this process with that same person also having an MTHFR gene mutation, and serotonin levels really take a hit. When a person with has an MTHFR gene mutation, their body is not having adequate conversion of the inactive form of folate, which is obtained through diet, to the active form of folate. For people with chronic Lyme disease who have the MTHFR gene mutation, their glutathione levels will be much lower and depleted than someone who doesn't have an MTHFR gene mutation. Glutathione, the body's master detoxing agent, is an antioxidant the body creates itself, and it is used for expelling toxins from the body, and in a person with chronic Lyme, this becomes the excessive load of toxins produced from the Lyme bacteria and its coinfectons. An excessive load of toxins that needs to be detoxified will surely use up the body's glutathione levels, which means using up the folate used to help create glutathione in the beginning. If the folate becomes depleted, then the body can't convert the amino acid homocysteine to the amino acid methionine, and the body needs methionine to produce not just serotonin, but dopamine and other neurotransmitters. Probably one of the more well known symptoms of a serotonin deficiency is Depression. While new research is suggesting otherwise, there is no denying people with Depression have been helped by increasing serotonin levels. In the end, it really comes down to a how an individual person with Depression feels when they treat a proven low serotonin level. In people with chronic Lyme disease, Depression can be all but real because the conditions of their existence (i.e., protracted, frustrating, and debilitating nature of the disease) set the foundation for Depression to not only become and exist, but thrive in such a way that it appears to become the default state of mind. With depression, a whole myriad of additional symptoms can come into play such as cognitive dysfunction, irritability, fatigue, sadness, loss of interest in the happenings of life, and mood swings. Interestingly enough, low serotonin levels have also been linked to depersonalization, and may be one of a few contributing factors, alongside toxin overload in the brain (e.g., ammonia from candida and a CBS gene mutation), for depersonalization/derealization in people with chronic Lyme disease. Insomnia is a hugely common symptom of people with chronic Lyme disease, and its existence could be attributed to a number of factors related to chronic Lyme, but serotonin deficiency could be a primary contender. Serotonin is used by the body to help regulate the sleep cycle and is also used by the Pineal gland to help manufacture the hormone melatonin. Melatonin is the hormone the body releases when the amount of light entering the eyes reduces, and that sleepy feeling many with chronic Lyme haven't experienced in eons, becomes. Bringing up one's serotonin levels if they are low requires simply supporting the body's natural process and required conditions for producing adequate serotonin levels. The first and most basic attempt at increasing serotonin level is getting adequate sleep as a good portion of the body's serotonin supply is produced in the gut while a person is sleeping. Ironically, low serotonin levels may be the reason why a person is not sleeping well at night in the first place -- chicken or the egg -- and supplementing with 5-Hydroxytryptophan (5-HTP), the precursor the body uses to make serotonin, may be needed and is often found to be helpful. If a person's low serotonin level is a little more complex and related to their genes as well, specifically the MTHFR gene, supporting this gene mutation will further assist the body's natural serotonin production. Supporting the MTHFR gene mutation means taking folate in its activated form and this can be done with a product known as Methyl-Guard by Thorne. Supporting an MTHFR gene mutation is a little more involved than just starting a supplement, so be sure to consult with your treating physician before doing so. Taking Methyl-Guard will provide the body with the activated form of folate it needs to produce efficiently not just neurotransmitters (i.e., serotonin and dopamine), but glutathione as well, and this needs to be exercised with caution. Serotonin levels may increase, but so will glutathione levels, and when this happen, all of the toxins produced from all of the herxheimer reactions that should have left the body long ago, will be more than willing to leave the body now. This can cause a detox reaction which is why it's important to consult with your treating physician about adding Methy-Guard to your treatment protocol. Testing serotonin levels is done via the urine through labs such as Pharmasan Labs, a lab located in the state of Wisconsin in the United States. For around $300, serotonin levels will be checked as well as GABA, glutamate, norepinephrine, epinephrine, and the other neurotransmitter that can be affected by chronic Lyme disease, dopamine. This specific test also checks cortisol levels (i.e., adrenals). Dopamine is more associated with emotions involving motivation, passion, and inspiration, and sometimes the symptoms of a serotonin deficiency and a dopamine deficiency can overlap, making it difficult to distinguish which neurotransmitter might be low. A test that checks the levels of both of these neurotransmitters would be ideal. Dr. Rick Sponaugle, MD tells us that the bacteria responsible for Lyme disease is in the brain within 24 of contraction. He also mentions that is it plausible, clinically speaking, for the toxins generated from the Lyme bacteria to block dopamine molecules. Based on this clinical assumption, it wouldn't be unreasonable to assume that serotonin molecules could also be affected by the toxins caused by Lyme and its coinfections. There has been some speculation and conjecture about the Lyme bacteria being able to destroy serotonin receptors, but no scientific analysis of this claim has yet to be found. Despite this, Lyme bacteria have been shown to kill nerve cells after invading and leaving them, so it isn't as far-fetched as a concept as it seems. People with chronic Lyme disease who begin to treat a proven low serotonin deficiency should be warned of their emotions being turned back on. Existing as a human being with chronic Lyme disease is very challenging, and serendipitously, many with Lyme experience a shutting off of their emotions - a numb, emotional state - which helps them cope with the stressful nature of living with the disease. This numb, emotional state may be partly due to low serotonin, and by increasing serotonin levels, emotions may turn back on. 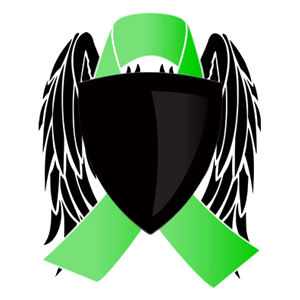 The person who has been without the emotions for so long may find it hard to cope as they then begin to feel the oppressive and emotionally challenging existence of having chronic Lyme that the numb, emotional state had protected them from for so long. Stein, Traci, Ph.D. "A Genetic Mutation That Can Affect Mental & Physical Health." Psychology Today. N.p., 5 Sept. 2015. Web. 12 Aug. 2015. Sponaugle, Dr. Rick, MD. "Dr. Sponaugle Teaches Brain Chemistry of Lyme Disease." YouTube. N.p., 2 Sept. 2013. Web. 12 Aug. 2015. Mount Sinai School of Medicine. "Induction of Depersonalization by the Serotonin Agonist Meta-chlorophenylpiperazine." National Center for Biotechnology Information. U.S. National Library of Medicine, 29 Sept. 1995. Web. 12 Aug. 2015. Ross, Dr. Marty, MD. "MTHFR and Detox. A Lyme Byte." YouTube. N.p., 5 Oct. 2014. Web. 12 Aug. 2015. "Depression (Major Depressive Disorder)." Mayo Clinic. N.p., n.d. Web. 12 Aug. 2015. Carver, Dr. Joe, PhD. "Depression: Causes, Symptoms, and Treatment."Drjoecarver.com. N.p., n.d. Web. 12 Aug. 2015. Gohol, John M., Psy.D. "Low Serotonin Levels Don’t Cause Depression. "World of Psychology. N.p., 10 Sept. 2014. Web. 12 Aug. 2015. Tang, Clara. "Neurotransmission & Serotonin." YouTube. N.p., 9 Dec. 2013. Web. 12 Aug. 2015.